Help ensure that Andrew Goodman’s legacy lives on by including a provision for The Andrew Goodman Foundation in your estate plans and become a member of Andrew’s Legacy Society. As a member, you will receive special recognition in AGF materials and special briefings on our work. Include a bequest of cash, stock or other assets in your will. Designate the Andrew Goodman Foundation as a beneficiary of your IRA, 401(k) or another qualified retirement plan, or life insurance policy, and avoid the potential double taxation of these assets via income and estate taxes. There is no need to update your will. The total value of your gift is tax deductible provided the securities have been held for at least a year and there is no capital gains tax obligation. Giving from your IRA reduces your taxable income and counts towards the minimum amount you must withdraw from your account each year once you reach 70½. Transfer ownership of a paid-up life insurance policy to the AGF and potentially receive an immediate income tax deduction for the cash surrender value of the policy. If you are interested in learning more about how to become a member of Andrew’s Legacy Society or make a tax-advantaged current gift to The Andrew Goodman Foundation, please contact Maxim Thorne at Maxim.Thorne@andrewgoodman.org or (201) 995-1808. Please consult your financial advisor or attorney before making a charitable gift. 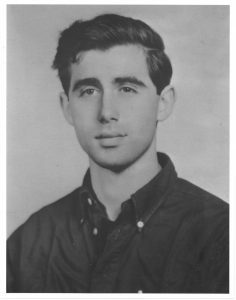 Your contribution to The Andrew Goodman Foundation, Inc. is tax-deductible to the fullest extent allowable.